WOW! Creative Design Group contracted with New Haven Festivals to co-produce Opera-Palooza! New Haven has a rich history of being a "new" home to Italian immigrants who migrated to Connecticut during the late 19th century. Opera-Palooza is a celebration of all things Italian in New Haven. 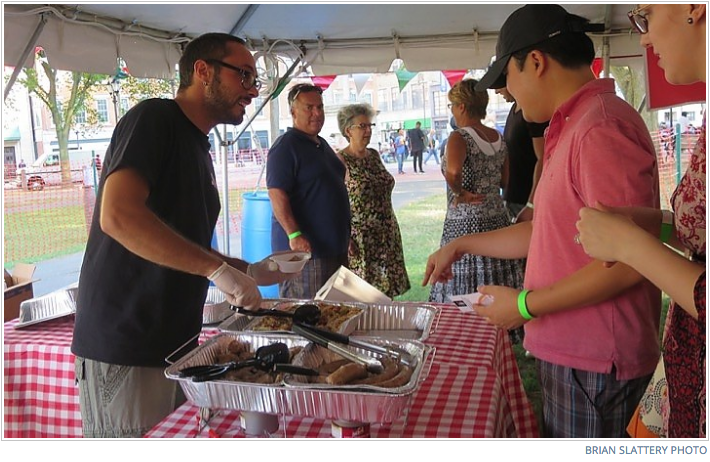 On Saturday, August 20th 2016, Italian music and food aficionados came together on the Historic New Haven Green, under the late summer moonlight for the inaugural Opera-Palooza. We put together a site that outlined the night, presented the evening's sponsors and showcased the singers. People were able to buy tickets to the Food Emporium Tent and also register or the event through EventBrite. We had over 3,000 people attend the event and sold over 1,000 tickets to the food tent.